At national level it is not just individual planning decisions which may be controversial but planning itself. The Labour manifesto for the 1997 general election stated unequivocally that ‘a sustainable environment requires above all an effective and integrated transport policy at national, regional and local level’. The Conservative governments of 1979 to 1997 would not have agreed with that judgment. Their objections were expressed most characteristically by Cecil Parkinson, Transport Minister, 1989–90. He thought an integrated transport policy was ‘socialist’ and a ‘way of keeping well-paid bureaucrats occupied’ (Truelove, 1992: 8). But this attitude was echoed more moderately by people from across the political spectrum interviewed for this book, who mostly wanted a Greater London authority that could coordinate transport provision, but ‘did not want GLC-type planning’. 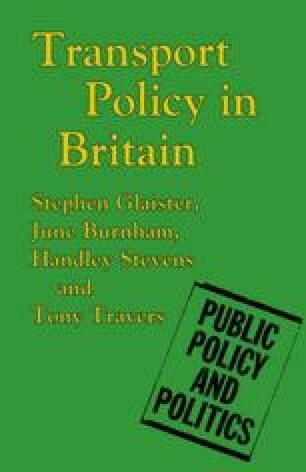 They were rejecting the prescriptive planning of the GLC, especially under Labour majorities, bearing down on London boroughs and private enterprises alike, which imposed patterns of travel that planners believed would be effective at regional level, but which did not find favour at local level.